While the fishing here is legendary, many discover what they really love most is the QCL experience; a very special mix of adventure, friendship, comfort and fun in this magical corner of the world. You need to experience it first hand! 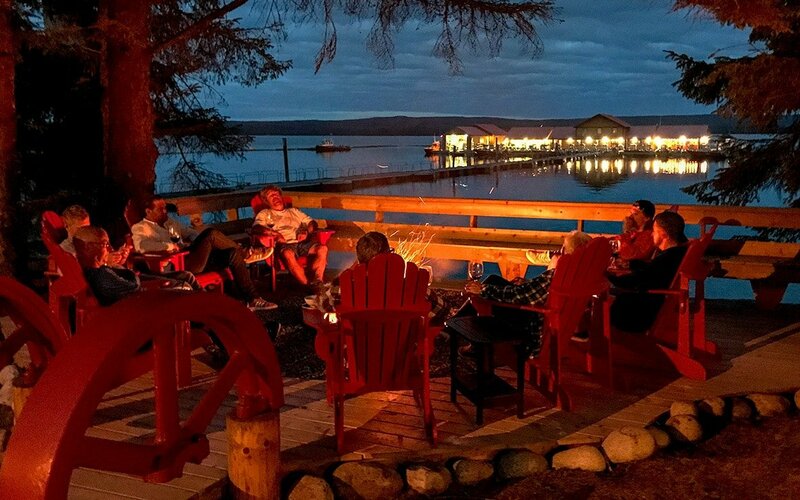 Queen Charlotte Lodge is a place where modern-day travelers can enjoy a taste of wilderness adventure perfectly blended with the comforts of warm hospitality in well-appointed lodging. 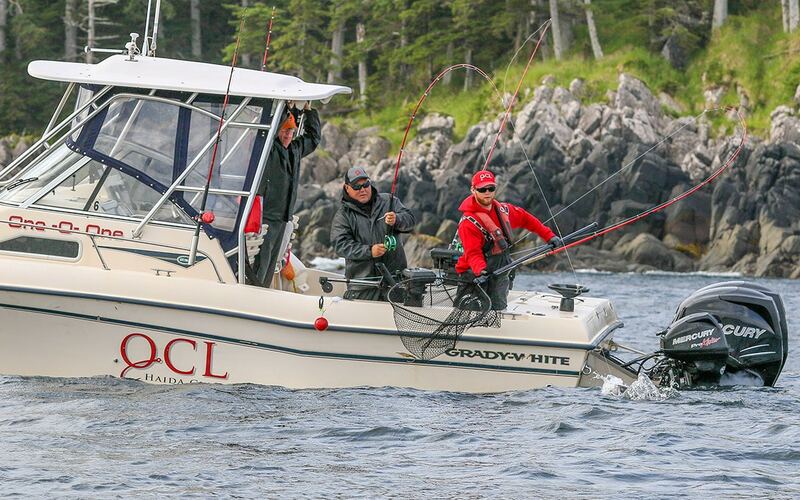 Nestled among the towering spruce of Naden Harbour on the northern shores of BC’s Haida Gwaii, QCL is a welcome escape from the clamour of daily life. 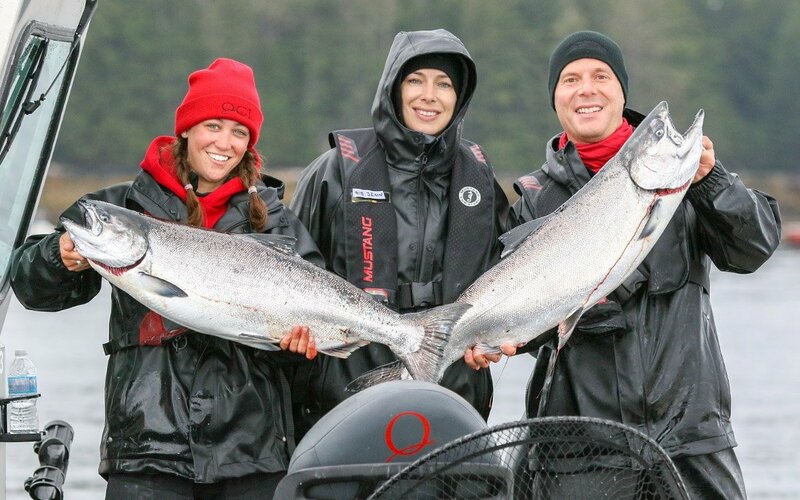 While the salmon and halibut fishing here is legendary, many discover what they really love most is the QCL experience; a very special mix of adventure, friendship, comfort and fun in this magical corner of the world. You need to experience it first hand! 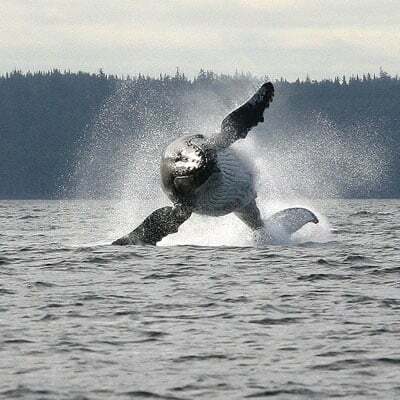 Whether it’s the exhilaration of seeing a humpback whale alongside your boat, the flash of chrome silver as the fish of a lifetime swims away or the cheers of your friends as you clang the Tyee bell in celebration, the QCL experience is something you never forget. This is a special place and we’re very pleased to share it. 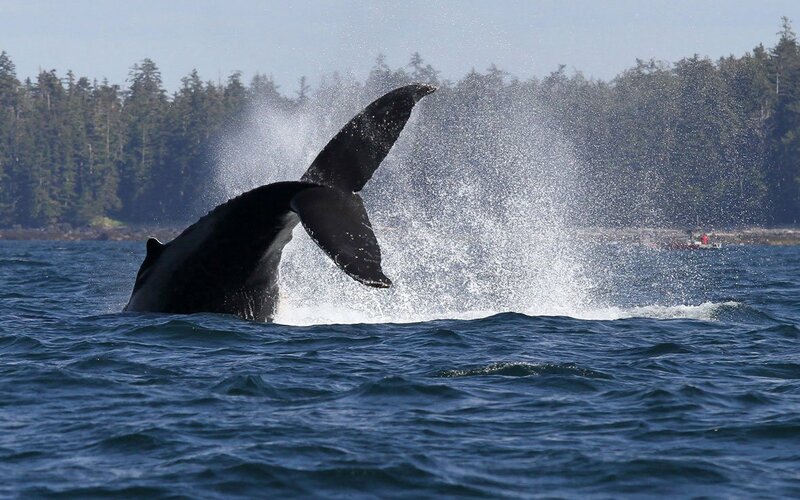 Make plans to join us in Haida Gwaii to share those moments here with your family and friends. 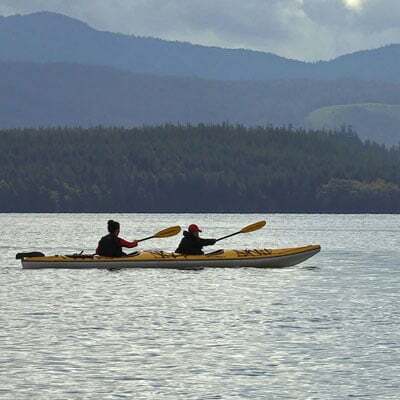 QCL Haida Gwaii is a destination where you can experience pristine nature and wilderness adventure, all-the-while enjoying fine food, wine and lodging. Be up at the crack of dawn for that early morning bite! Or relax and catch the sunrise with a warm coffee and a fresh croissant! End your day sharing fishing stories around the crackling fire or treat yourself to a relaxing massage in our Twin Creeks Spa. Our friendly staff are here to make your stay with us the best possible experience. 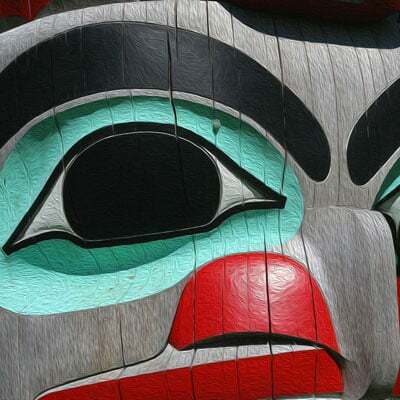 With our luxury lodges we endeavor to create the perfect recipe of west coast lifestyle mixed with the island spirit of Haida Gwaii. 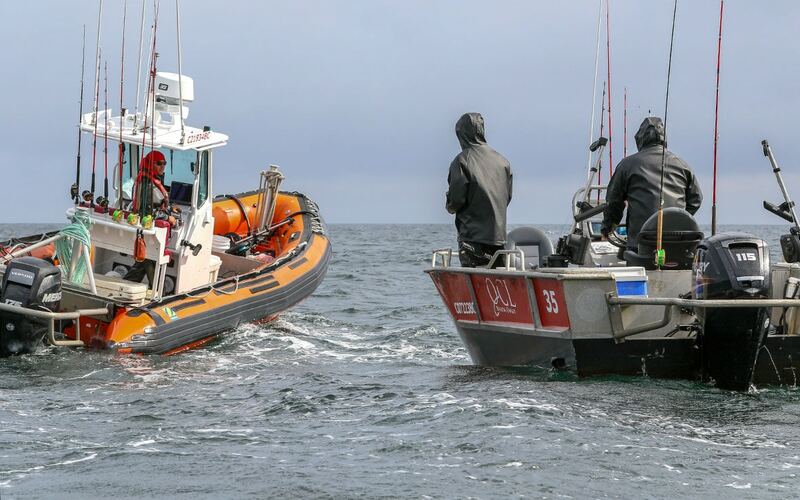 We are here to provide you with the ultimate first class fishing adventure! Incredible experience. Everything was first class – guide, boat, gear, food, staff service, trip to and from the lodge, massage, you name it. Highly recommend. Would come back next year without even thinking. We maxed out our fish and had incredible weather. What an experience. 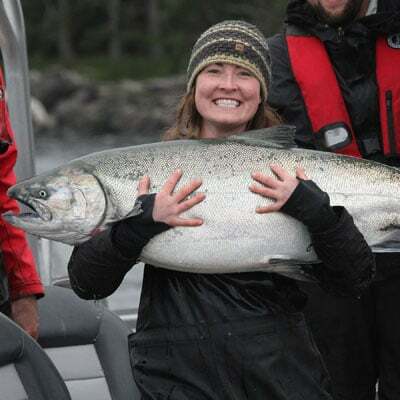 Tell us how we can help you make your Fishing Getaway a reality! Be prepared to be treated to a first class experience, from the time you check in for the flights to the amazing beauty and condition of the lodge with various types housing / room options to the experienced guides and boating options…. 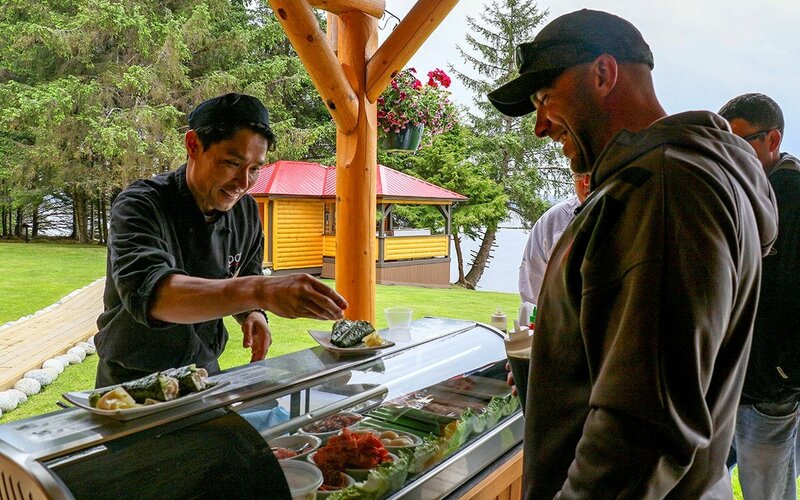 to all the attentive smiling staff… the absolutely amazing chefs both at the lodges as well as on the driftwood ship where you can either stay on or just experience an tasty hot lunch while out on the fishing grounds.